and these methods have worked well for me. 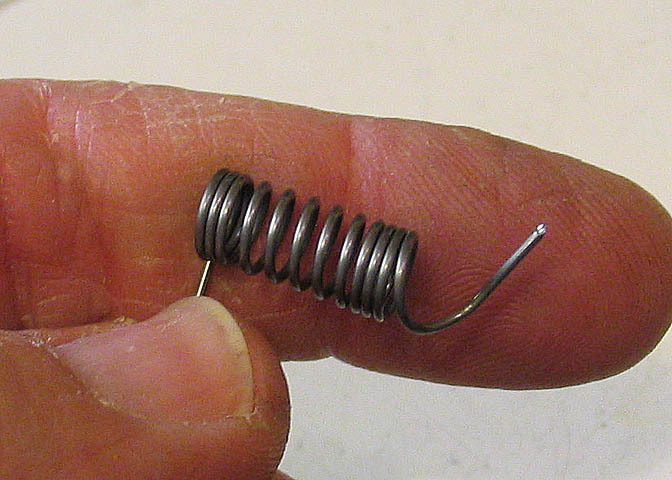 than when working with spring wire. Wear safety glasses! 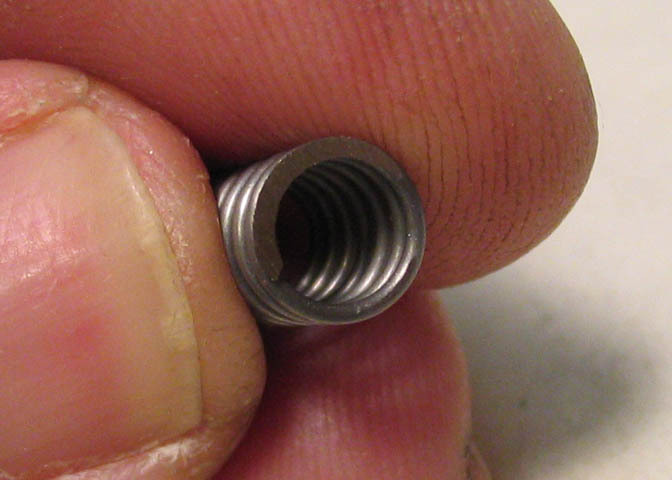 any extra tooling, and it only concerned itself with small extension springs. to keep things on the safe side. the one in the picture above, very simple and basic. the force that will be against it when running larger wire. 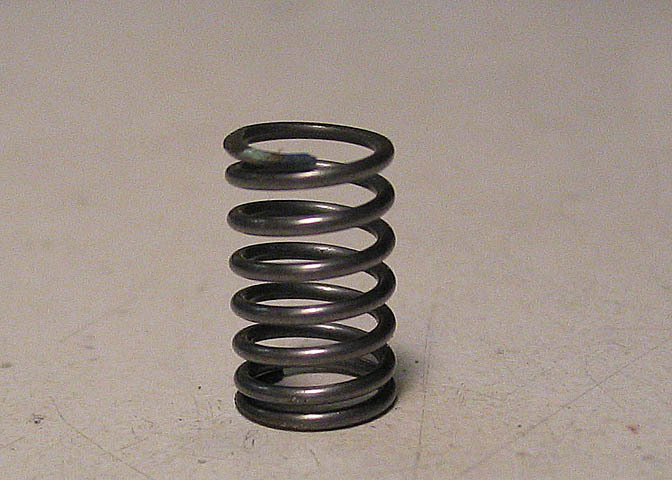 would make a fairly stout spring if it was of small dimension. measurement. You can eyeball it. just put the screw hole back from the front edge of the square stock about 1/2" and call it okie-dokie. lots of practice and a good feel for it, that you do too. So, the lathe is unplugged. tail end of your spring wire getting loose and whipping you like a bad dog all at one time. So do it without power. were using pliers to hold it. 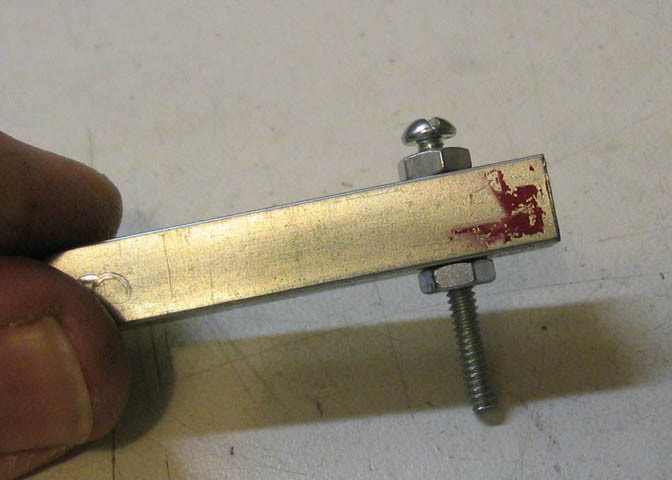 So it is done with the tool post jig, which makes it quite easy. thing works. 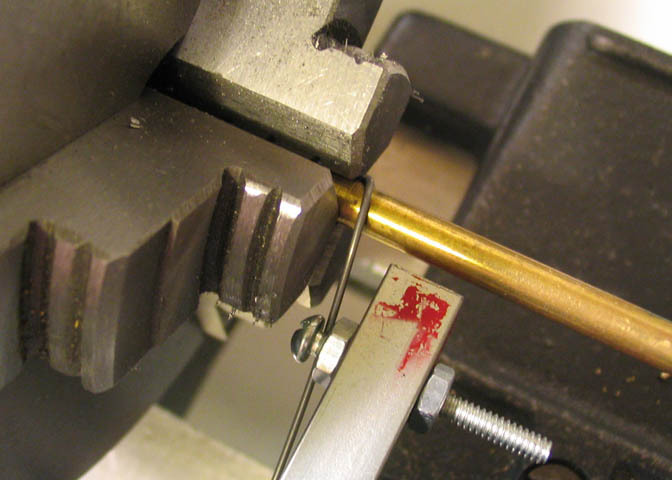 The wire is trapped in the chuck same as I did for the thinner wire in the first part of this write up. 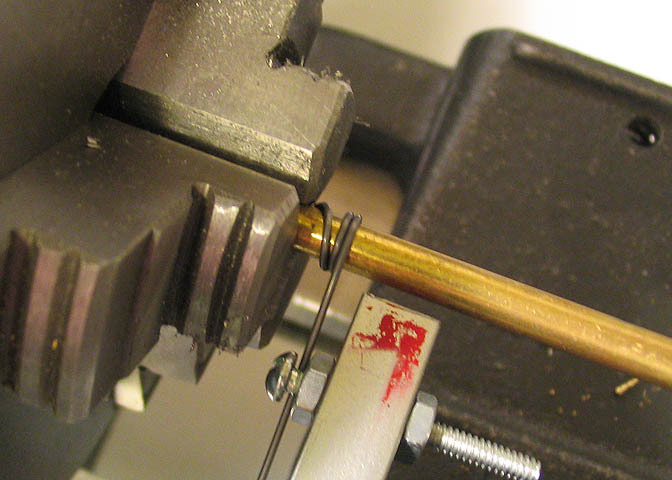 The wire is then put under the screw on the tool, and allowed to trail out past the top of the cross slide. making the spring. Don't put your face in that area. 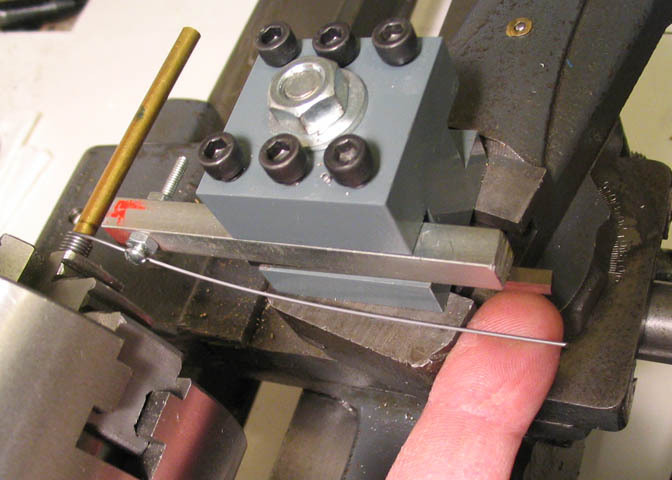 on the tool keeps the wire in line, and prevents it from flipping over the top of the arbor. 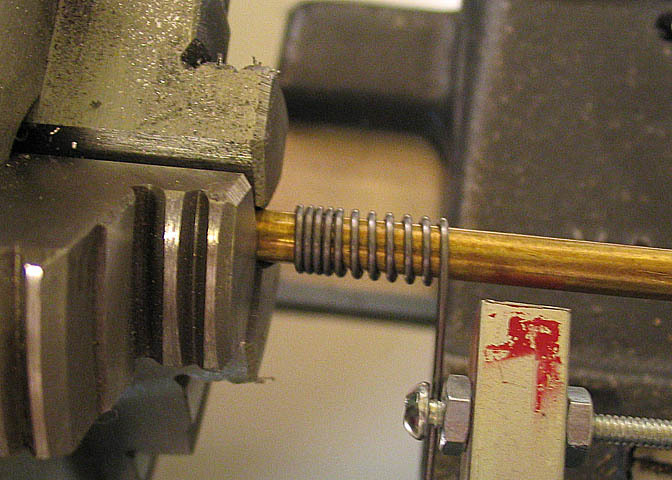 slowly, keeping the head of the screw roughly lined up where the previous coil has been formed. You want it to move so the coils are just about to roll up over the top of it's neighbor, but not quite. the lathe and the carriage in a way that will produce a bunch of well formed coils in short order. You can see here how the wire pulls up over the top of the cross slide. 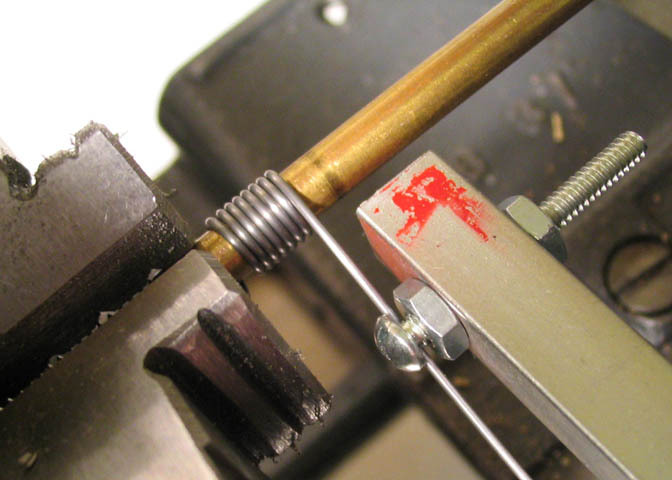 The screw/tool will keep it in line. Just mind the end of the wire. This is where you need to stop. 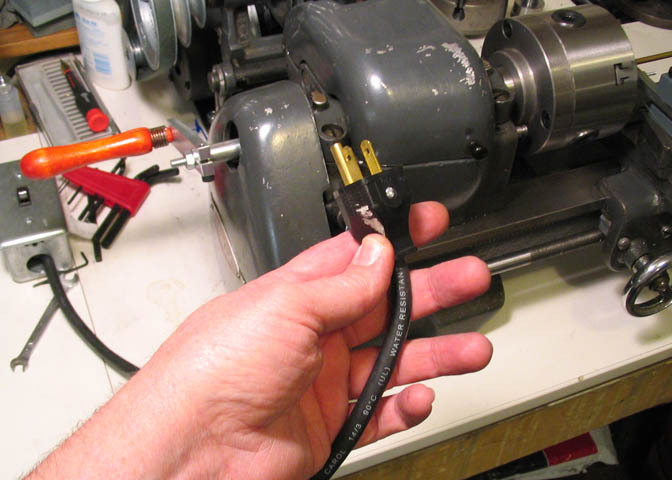 Don't let the end of the wire get past the screw or it may pop! mind on your business, here. on the spring by unwinding until it relaxes, and you can take it out. springs that are the same strength. 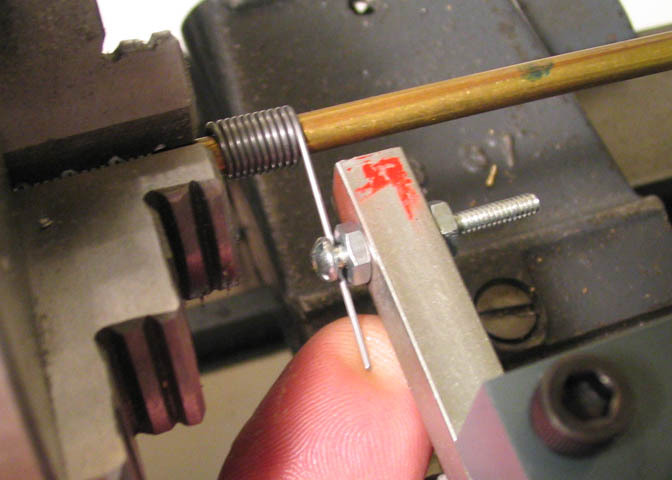 winding springs all the time, but I use it mainly when I make extension springs. 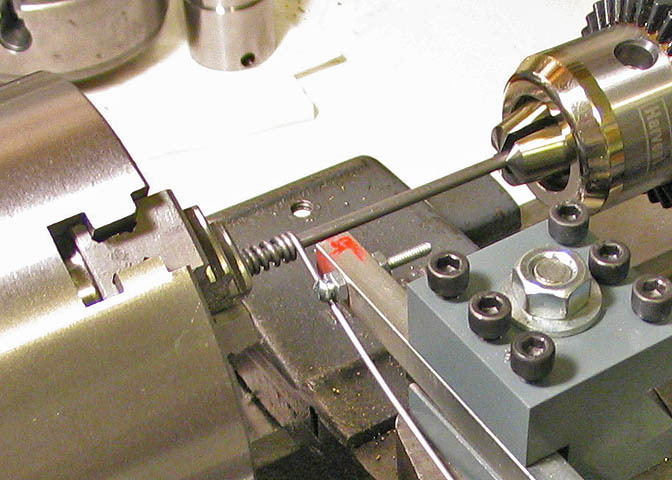 For the next steps I'll be using a small Atlas screw cutting lathe. 16 coils and an inch long. 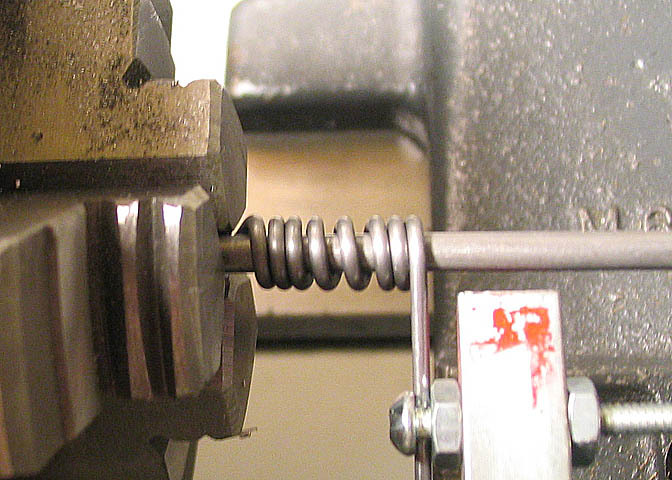 Set the lathe to cut 16 threads, and you're ready to get started. 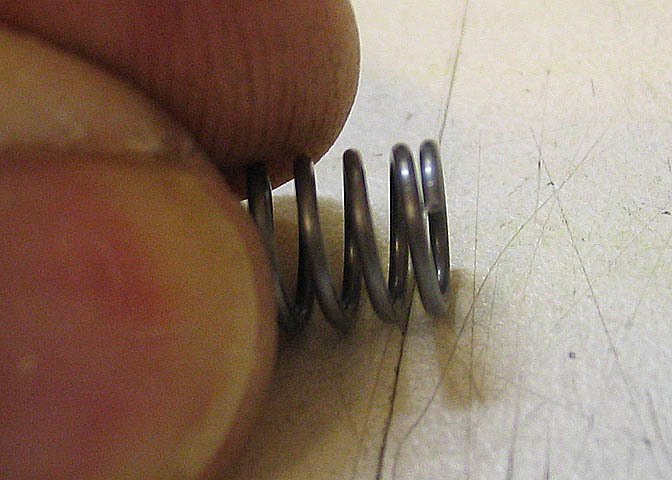 coils at the beginning and end of the compression spring. 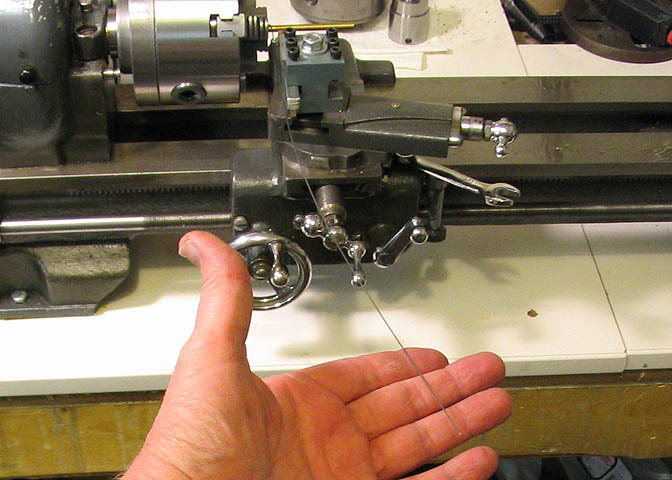 Just as with threading, the lathe spaces the coils nice as can be. two or three close coils at the end, just like at the beginning. it's not the overall length). I hope that makes sense! Explaining stuff like that isn't my high point. 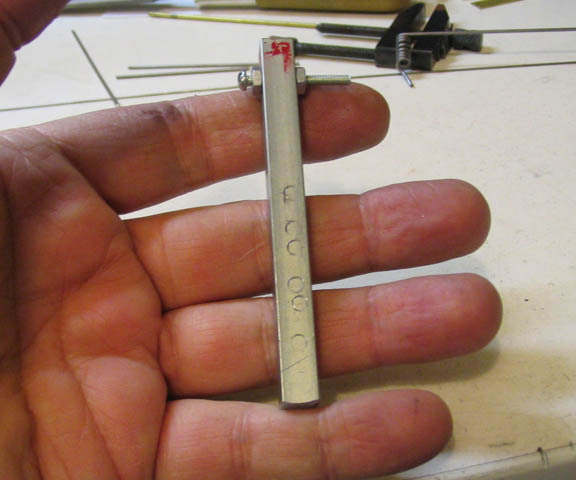 coil, leave a little extra on the flat coil side, and snip the extra coils off. tail, here, but it's okay for this demo. grinding wheel to do it for a spring this size. See the next pic. of that coil, like I said to do, the flat would go almost 3/4 of the way around the end of the spring. explained previously, and it will be ready to go. do that. That was just about one second on the grinding wheel. One second too long. diameter is .055", which may not sound like much, but it's very stiff. This spring will take probably 20-25 lb. on the first rotation if it wasn't. For what it's worth, and I mentioned this in the other spring making post, I'm not an expert. This stuff I'm showing works well for me. Simple as that. wire end, (not the other way around! ).